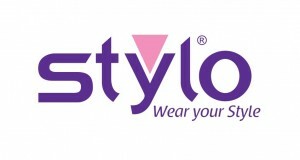 Stylo Shoes Outlet - The largest female fashion footwear brand, operating with over 100 outlets in Pakistan. Whether, it is a leisurely walk in the park or the walk down the aisle on your wedding day, shoes play a very essential part in our lives. And based on the story Cinderella, it goes to show how a pair of shoes can change our entire lives forever. But let us step back into reality from the world of fairy tales. Even in real life, one can simply not deny the importance and need of shoes, a good pair. Us girls tend to have dozens of shoes for every occasion, intents and purposes. Stylo Shoes winter collection 2017 new arrivals for women have something really exotic and amazing this winter. Their latest winter collection covers all types of shoes and footwear. 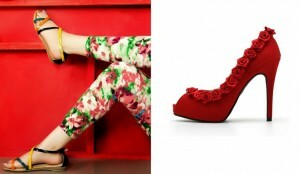 In their latest collection, they have fancy shoes, formal footwear and casual shoes. In fancy shoes, they have gone for high heels which are extremely graceful and elegant. In formal footwear, they have both flats and heels in the form of coat shoes that are trendy and stylish. In casual shoes, we can see that they have warm comfy shoes that are easy to wear and long lasting in terms of quality. So, Stylo Shoes sure knows how to take care of their customers this winter. In our closet full of shoes, you will find winter pumps, stilettos, flats, heels, wedges and so many other kinds that gives us the choice to pick any one of them for whatever place we are going to. Stylo Shoes also provides us similar choices for every occasion with a twist of innovative designs, comfort and quality. They have a diverse variety in terms of designs and patterns. We offer free shipping above Rs. 3000 all over Pakistan through Leopards. Deliveries usually take 5-7 business days. Please note that no orders are dispatched over the weekend or on gazetted holidays. Stylo Shoes makes every effort to ensure that the product descriptions and photographs provided on this website are accurate and life-like. Whilst the reproduction of colours and styles contained on the photographs shown on this website are as accurate as image and photographic processing will allow, Stylo Shoes cannot accept responsibility for slight variances in colour or style. Any amendments can be suggested within 24 hours from the receipt of the order. Any amendment to the original order after 24 hours may be subject to additional charges which will be determined after reviewing the requested changes. If you wish to return the merchandize purchased online, you may do so in a period no later than 14 days from the day of purchase.. You must deliver the merchandise in the same packaging in which you received it. To schedule a return, please contact us at support@stylo.com.pk in order for us to arrange the collection at your home address. We will fully examine the returned product and will notify you of your right to a refund of the amounts paid. The refund will be made as soon as possible, and within 30 calendar days from the date on which you informed us of your intention to withdraw. The refund will be made using the same payment method which was used to make the purchase. No exchange or refund will be made for any products that are not in the same condition in which you received them, or that have been used beyond mere opening of the product.